SUVs and crossovers have a median price in excess of $30,000, but the price tag goes way up when luxury trims are selected. Luxury models containing elegant interiors and driver information centers are more expensive, and a few models have price tags that are in the $80K+ range. Although few individuals can afford these top-of-the-line models, let’s take a look at 2013s most expensive SUVs. This model comes in less expensive trims but the top of the line M has a 550-horsepower, twin turbo 8-cylinder engine, and features one the most advanced traction control systems on the market. The X5 M gets a poor 17 mpg highway fuel efficiency, but this is probably no concern to those willing to shell out the $88,000 required to drive it off the lot and experience 550 horsepower in the process. The X5 has adaptive headlights, a glass sunroof, full leather upholstery, a voice-activated navigation system, and a multi-level heating system for the driver’s seat. It also carries the BMW name, something that speaks volumes about the precision manufacturing. If the M5 doesn’t get the juices flowing, perhaps the X6 M will. This model comes with the same engine as the X5 M, but it has a more sporty couple-like appearance. The interior is a bit more luxurious, and the model comes with standard 20-inch wheels. 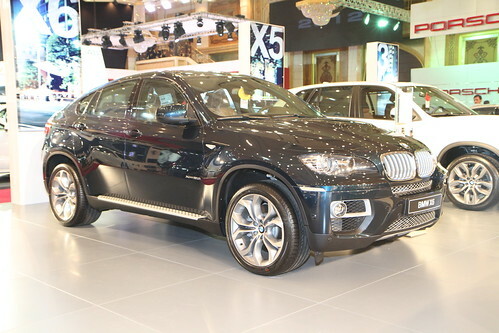 The X6 M features automatic air conditioning and heat, with memory functions that can be used to reset the interior to a specific temperature and humidity. The vehicle comes with speed-proportional power steering, has a steering wheel memory, and a 12GB internal computer memory. The price is just about $90,000, and only one trim is available. At around $95,000, this luxury vehicle is one of the most elegantly furnished SUVs on the planet. Not only is it built to withstand the most rugged off-road driving, it is superbly balanced, has one of the most wonderfully designed suspension systems available, and includes a superior driveline traction control. The vehicle comes with a 5.0L V-8 intercooled supercharged engine that delivers at total of 510 horsepower. The 20-inch aluminum wheels are standard equipment. The interior of the vehicle is well designed and includes every amenity that a passenger could dream of. The Range Rover can tow in excess of 7,700 pounds, and the interior is equipped with a heated steering wheel, illuminated entry, voice recorder, 1st- and 2nd-row LCD monitors, and an extravagant entertainment system that includes satellite radio and mp3 playback. 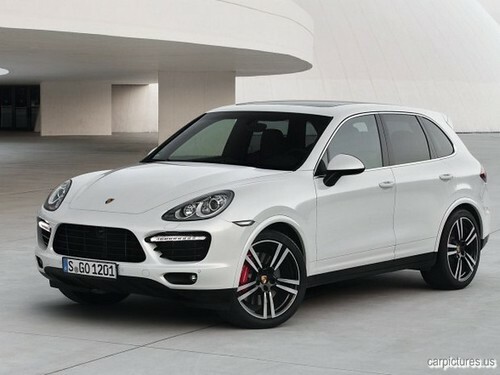 The Cayenne Turbo is equipped with a 4.8L engine that delivers a total of 500 horsepower. It features an 8-speed automatic transmission, navigation system, and automatic air conditioning. Unlike many other luxury SUVs, this model is available in a multitude of trims. For those who want to spend somewhere in the neighborhood of $108,000 for a vehicle, why not give this luxury SUV a test drive? After all, it is a Mercedes. The 5.5L engine delivers a total of 382 horsepower, the 7-speed automatic transmission gives flawless acceleration, and the 4-wheel drive is state-of-the-art. It should be noted that the vehicle looks a lot like a Jeep, from the outside anyway. Once inside the cabin, the similarities come to an end. Over the next few years, Jaguar, Bentley, Lamborghini and Maserati are all expected to launch SUV models so it appears the high end luxury SUV marketplace is just getting started.